A couple of weeks ago, I took part in a Postgrad Roundtable discussion at Queen’s. Joining in a conversation about the composition of creative works, I tried to make the point that the ensemble devising process in youth theatre could be said to involve an emergent design rather than the top-down ‘composition’ of a play by one director. Not being (quite) assertive enough, I was talked over by a music lecturer who ignored my mention of youth theatre and said that Grotowski’s Theatre Labs were the only example he knew of emergent design in theatre. Quietly fuming, I wrote down on my notepad: ‘Doesn’t know a thing about youth theatre’. I am focusing on groups working with people aged 12-25. I define individuals under 12 as ‘children’ and those over 12 as ‘young people’. 12-25 is the age bracket which the youth theatre umbrella bodies in NI, ROI and Scotland focus on. It’s an age bracket in which peoples’ main social circle tends to be their peer group rather than their families – so drama groups might be of special importance to them. NAYD is the umbrella body for youth theatre in the Republic of Ireland. According to NAYD: ‘Youth drama is a unique form of theatre that is defined by the contribution of young people.’ It is also ‘a unique youth work practice that engages young people as active participants in theatre by using group or ensemble drama approaches.’ Whilst NAYD use the broad term ‘youth drama’ here, they go on to list 7 Key Characteristics of a youth theatre group. These include being not-for-profit, offering a year-round programme of activities, taking place outside of school and having ‘its own identity forged by its members and its interaction with the wider community’. In NAYD’s research projects Centre Stage + 10 and State of Play, they distinguish between ‘youth theatres’ (which comply with the above criteria) and ‘youth drama groups’ (which encompasses commercial Stage Academies, Speech and Drama Classes etc.). Interestingly, the Republic of Ireland counts over 40 youth theatres which mention their local areas in their titles – e.g. County Roscommon Youth Theatre, Cabinteely Youth Theatre, Galway Youth Theatre… This contrasts with just 3 Northern Irish youth drama groups who have a geographic place in their title. NI groups tend to be named after arts venues e.g. The Crescent Arts Youth Theatre, the Grand Opera House Youth Theatre. 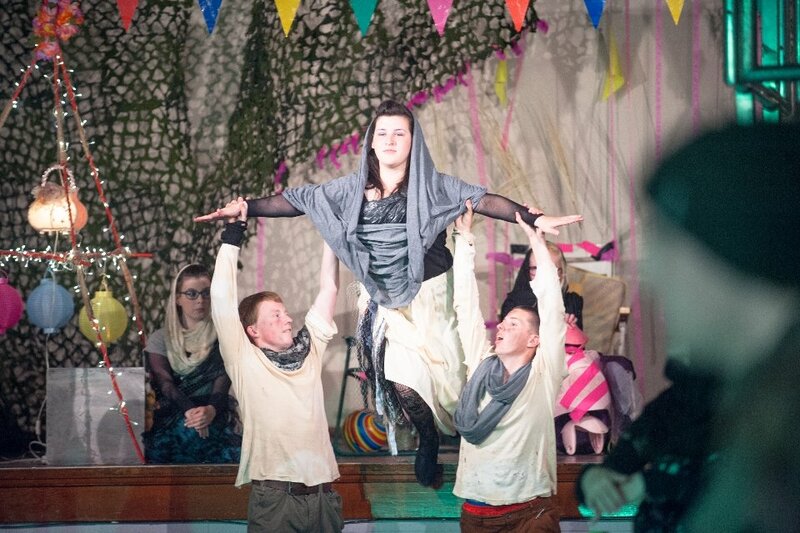 Does this indicate that youth theatres are regarded more as a source of local pride in the Republic? They certainly seem to be better-supported by local councils. Having worked in Scotland all last year, I know that a youth theatre over there also tends to mean a specific type of youth drama group. It usually denotes a year-round group which involves young people in decision-making, uses ensemble approaches, offers workshops and mounts productions. The umbrella body for the Scottish sector, YTAS, is supporting some innovative developments for youth theatre in Scotland. The organisation’s recent name change from ‘Promote YT’ to ‘Youth Theatre Arts Scotland’ signals their move towards advocating for youth theatre as an art form in its own right. They recently launched Chrysalis, a platform for high-quality, ‘ambitious and provocative’ youth theatre performances. So much for the Republic and Scotland…what’s the story here in Norn Iron? Well, my 2 years as a UAYD Board member have led me to believe that an understanding of ‘youth theatre’ as a distinct art form is not so widespread here. 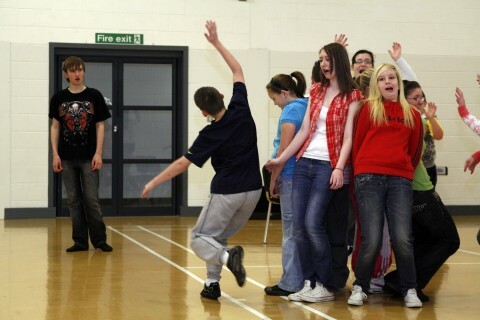 Fewer than half of not-for-profit youth drama groups in NI call themselves ‘youth theatres’, and many of these are time-bound projects such as summer schemes rather than year-round groups. In NI, the boundaries are often blurred between commercial performing arts classes, not-for-profit youth theatres and Speech and Drama groups. This may be in part due to the demise of the network of regional youth theatres which used to be funded by the Arts Council, and a subsequent rise in private sector groups. So how should I approach my own definition? I don’t want to be snobby and ignore any groups which don’t fall into my specific understanding of ‘youth theatre’, formed during my time in Scotland. I know that there are some commercial performing arts groups in Northern Ireland who produce high-quality work and offer a fulfilling, inclusive experience for young people. I also realise that by limiting my project to ‘youth theatres’, I will be missing out several elements of the sector which provide important social value in communities. The Young Farmers Clubs of Ulster, for example, don’t generally have year-round groups but have a strong network of drama festivals across NI. • The active involvement of young people in decision-making. The productions which a group does should be decided by young people, not by leaders. • An inclusive ethos and ensemble approach. As a young person, I had a bad experience of having a ‘bit part’ in a youth musical. The (adult) director told me where to stand and how to say my lines. I spent a lot of time hanging around backstage with nothing to do. This is not fun or fulfilling. • The use of drama workshops. Workshops offer young people a chance to take risks without the pressure of a public performance, to explore and develop their sense of identity. And most importantly, to play. I am also wary of including groups which operate as profit-making businesses. 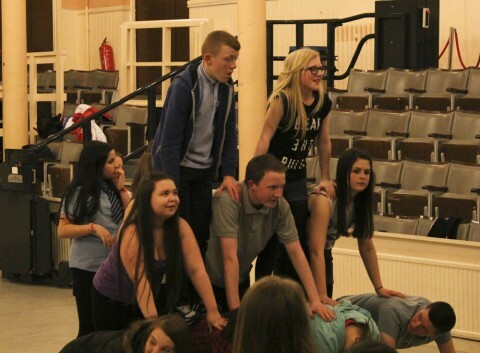 I’m not saying that youth drama leaders shouldn’t earn a decent wage – they definitely should. But if high course fees and no financial support schemes mean that a group is not accessible to all young people, then that runs counter to the inclusive ethos which I believe should be at the core of youth theatre. The current fees for the Stagecoach performing arts academy are £324 per term for 6-18 year-olds. I know my folks wouldn’t have been able to afford that. So I am thinking that I’ll focus on groups which invest any profits back into their activities, and which are financially accessible to all young people. I will distinguish between ‘youth theatres’ (year-round groups) and ‘youth drama activities’, but I’ll look at both. I am currently mapping all youth drama activity outside of Belfast and Derry. Come December I will be engaging with four communities for my in-depth fieldwork. This will involve exploring how youth theatre/drama is perceived and valued in these four places, not just by participants but by the wider community (parents, sports leaders, teachers etc). If you think your area could be of interest, please do get in touch. And please also let me know if you have any thoughts on these questions of definition. I’d love to hear them, whether or not you agree with my ramblings.